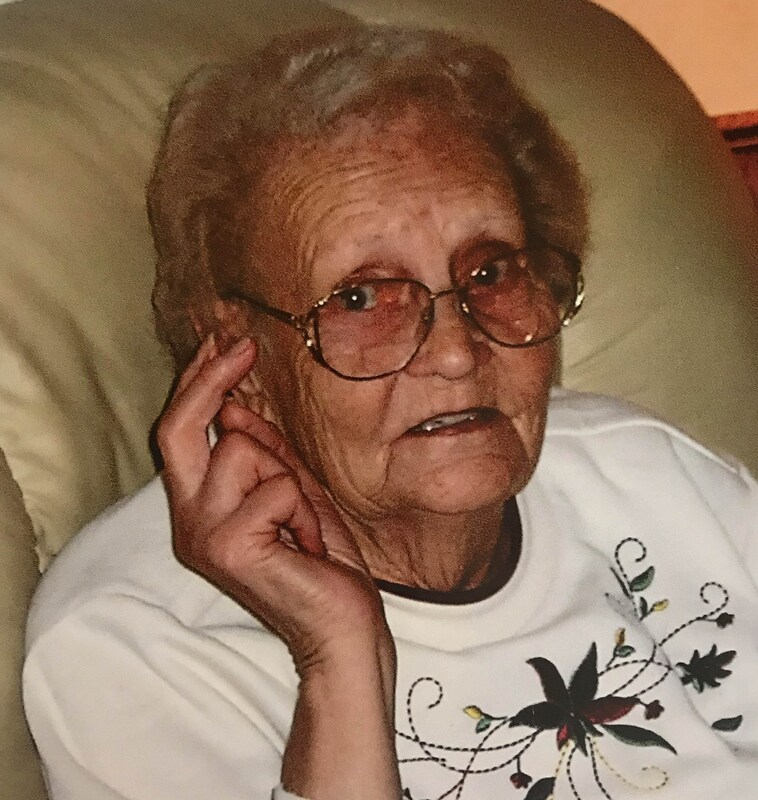 BURLEY – Katherine (Holm) Rice, age 94, passed away on Thursday, November 22, 2018 at Hiland Estates in Burley, Idaho. Katherine was born on March 6, 1924, to Charles and Mary Jane (Richards) Holm and raised in the small farming community of Pella, Idaho. She was the fourth of seven children. She enjoyed school and graduated from Burley High School in 1942. After graduation she moved into Burley and worked as a telephone operator. Katherine married Hyrum William (Bill) Rice on November 24, 1945. Together they raised three children and two grandchildren. Katherine was a lifelong member of The Church of Jesus Christ of Latter-day Saints; she also enjoyed working all types of elections after her retirement from JCPenney, where she worked for more than 35 years at as a part-time and full-time sales associate. She found great pleasure in helping customers and return customers always asked for her by name. Katherine enjoyed the simple pleasures of spending time with her family, traveling with her husband, and gambling with her friends. She had a beautiful smile that made her blue eyes sparkle; you couldn’t help but smile back at her. Katherine is survived by her son, Dennis Rice; her daughter, Beverly (Bill) Smith; her grandson, Dan (Tammy) Pace; her sister, Shirley Kerbs; seven grandchildren; 20 great-grandchildren; 12 great-great-grandchildren; and her sister-in-law and best friend, Edna Rice. She was preceded in death by her parents; her husband, Bill; her daughter, Deniese Tolman; grandson, David Pace; granddaughter-in-law, Corrina Jo Pace (David); daughter-in-law, Susie Rice; son-in-law, Jerry Tolman; great-granddaughter, Bobby Jo (Pace) Fortier, great-grandson, Wade Pace; brothers, Warren, Bobby, and Boyd; and sisters, Bernice and Mildred. The family would like to express a very special thank you to Harrison Hope Hospice. They were the blessing our family needed at this very difficult time. The funeral will be held at 11 a.m. Wednesday, Dec. 5, at Rasmussen-Wilson Funeral Home, 1350 E. 16th St., in Burley, where friends and family may call from 10 until 10:45 a.m. Officiating will be Bishop Walter M. Graham. Burial will follow at Rupert Cemetery.